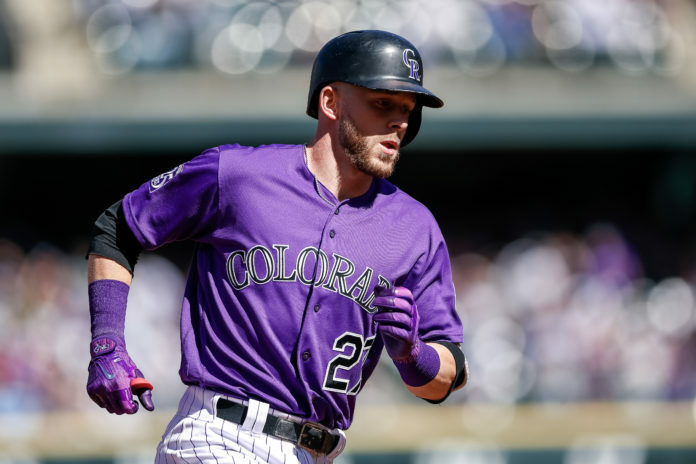 It’s been a highly successful season for Colorado Rockies shortstop Trevor Story, and it continued on Tursday when he sent his 35th home run into the fountains in center field during the Rockies’ 5-3 victory over the Phillies; sweeping the series and giving the club a one-game lead in the NL West division with three left to play. Story’s home run made him just the fourth shortstop in National League history to hit 35 homers in a single season, joining Hall-of-Famer Ernie Banks (five times), Rich Aurilia, and Bill Hall. That’s pretty good company for Story, who’s having arguably the best season by a Rockies shortstop in the franchise’s history. We promise these are not replays from last night. 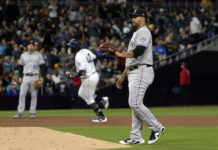 Thursday’s home run also moved Story just one off the National League lead, trailing only St. Louis Cardinals first baseman Matt Carpenter. 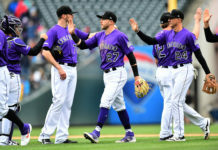 With just three games remaining, Story’s currently tied with Nolan Arenado for the team lead in RBI (105) and trails Chicago Cubs second baseman Javier Baez by six for the National League lead. 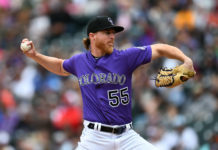 With another big weekend from Story, not only can the Rockies’ first NL West crown come into focus, but his MVP chances will grow even larger. With 83 extra-base hits, Story trails just Houston’s Alex Bregman and Boston’s Mookie Betts for the Major League lead; both candidates for the for AL MVP award. Story’s case in the National League is equally strong.